Topics: Close-up Magic, Trade Shows, Weddings, Children, and Reviews. Its 2 nameservers are ns2.mainnameserver.com, and ns.mainnameserver.com. Heart Internet Network England is the location of the Apache/2 server. 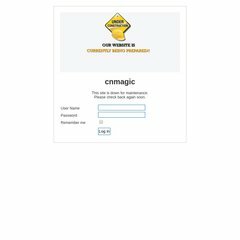 Cnmagic.co.uk's server IP number is 79.170.40.183.